Instant Photos used to rule the world. Today's generation might think that this happened when dinosaurs roamed the earth. But in reality, it used to happen just a while ago. I remember how my parents used to talk about those days (especially the brand & company Polaroid) fondly when I was a teenager. 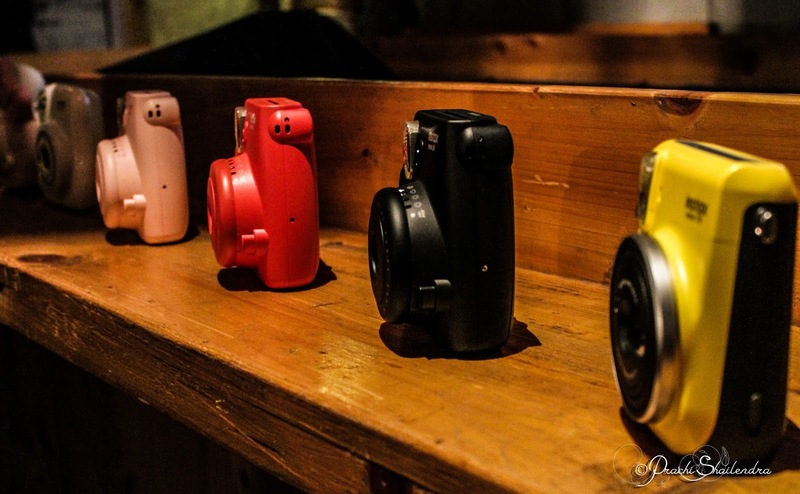 Then came cameras, digital cameras, phones, smartphones and everything changed! Fujifilm (established in 1934) cemented its name in manufacturing of motion pictures, followed by a wide range of photo-related products & printing materials. 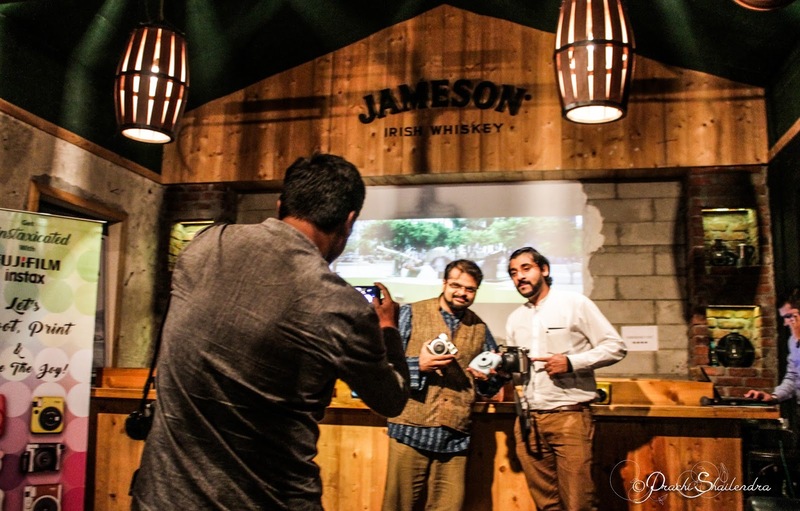 With the advent of digital photography & smartphones cutting into its flagship products' sales, it went into a Photo Renaissance mode to revive the whole concept of shooting,preserving, displaying and gifting photographs. 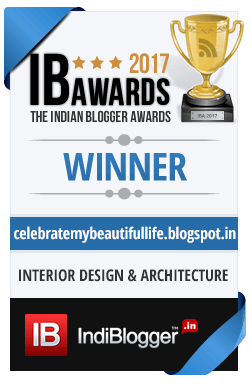 After all, their slogan of 'Value from Innovation' is all about ascertaining customer needs & fulfill that with the best of technology, products & services. 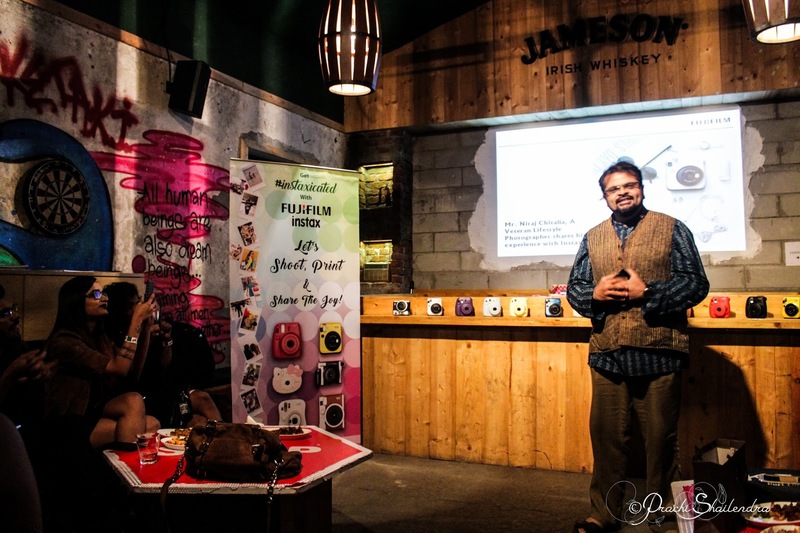 It was my pleasure and honor to attend a memorable evening about Fufjifilm Instax at Barking Deer Mumbai along with a bevy of top-notch bloggers. 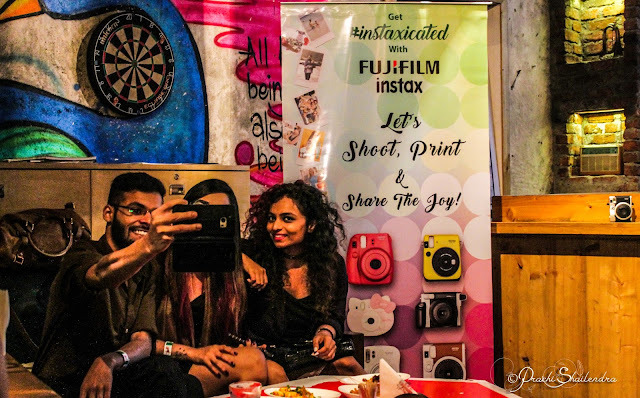 I had only heard about Instant Photos till then, finally it was time for us to see instant photography in action & get addicted ourselves! Fujifilm Instax is the only product of its kind that enables us to create unique photos that are immediately printed and ready to be preserved forever. Remember those dusty photo albums our parents & grandparents browse through? 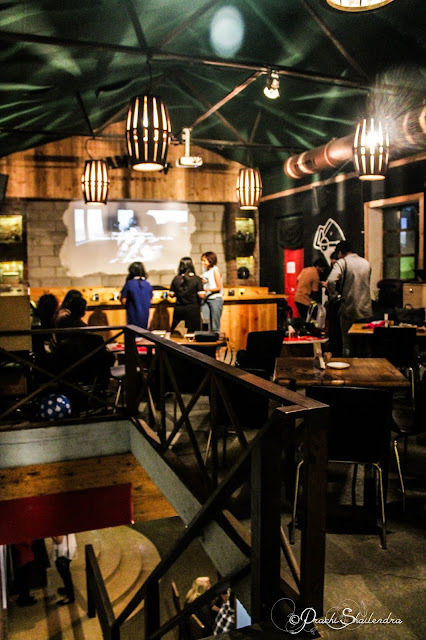 While we are busy scrolling through our digital snapshots, the magic of actually holding a photo album in hand is at a different level altogether. Well, it is back with a bang. Click photos, print them immediately, preserve the unique copy in the vintage way :) Click, Print, Love. How simple is that! Simple. Beautiful. Brilliant. 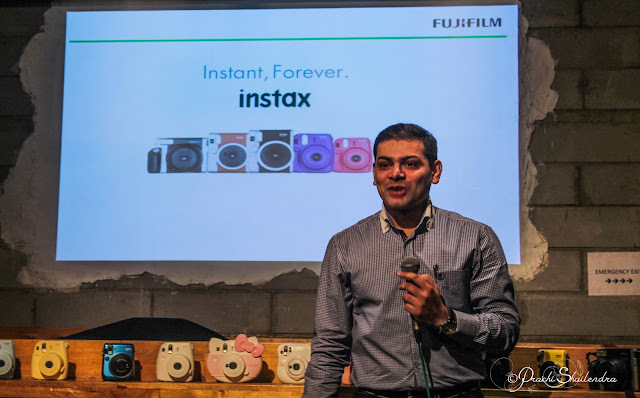 Fujifilm Instax is Instant AND Forever. In a world where our increasing dependency on technology is frankly making a lot of people paranoid, I say let's go back to the world of Instant Photography :) I have myself bore the brunt of corrupt data, viruses wiping out my hard drives, hacking attacks on my email as well as computer and then what happens to all the memories we store as MBs on our computer/pen drive/hard disk? It is at times like these when I feel 'Oh if only I had a hard copy of that special moment'. 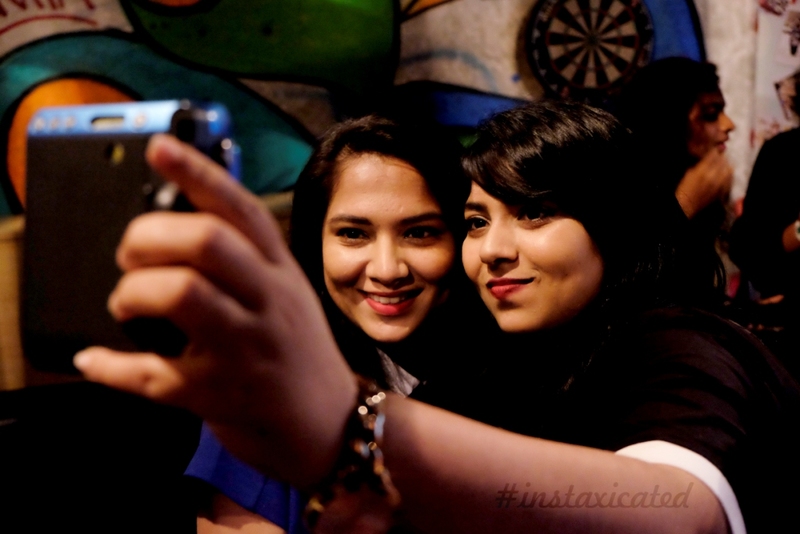 And think about it -from birthdays and weddings to girls' night out to friendship day to valentine's day to a travelogoue, Instax creates unique memories anywhere, anytime! There is something magical about those little pictures. Call me romantic, I plead guilty :D I am in love with this versatile idea and the ethereal way Fujifilm has brought it to life. 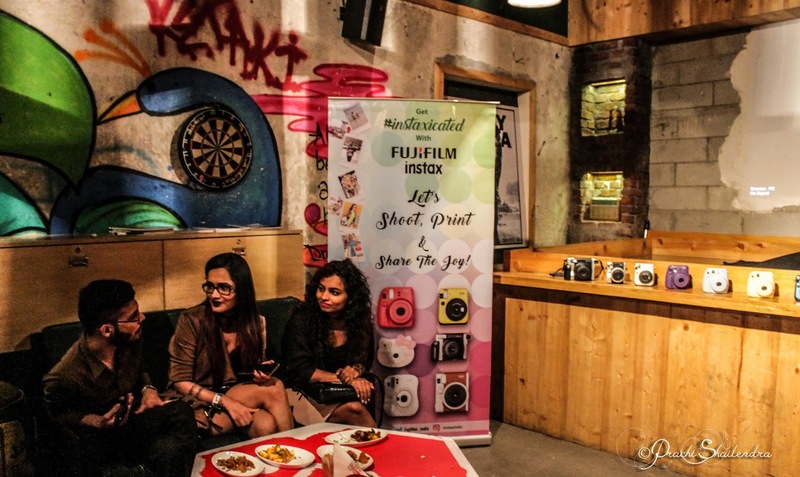 At the bloggers' meet,we were acquainted with the idea, got to interact with famous lifestyle photographer Neeraj Chitalia who personally uses Fujifilm Instax for majority of shoots (he has even enchanted quite a few wedding guests by printing polaroids for their special moments!) 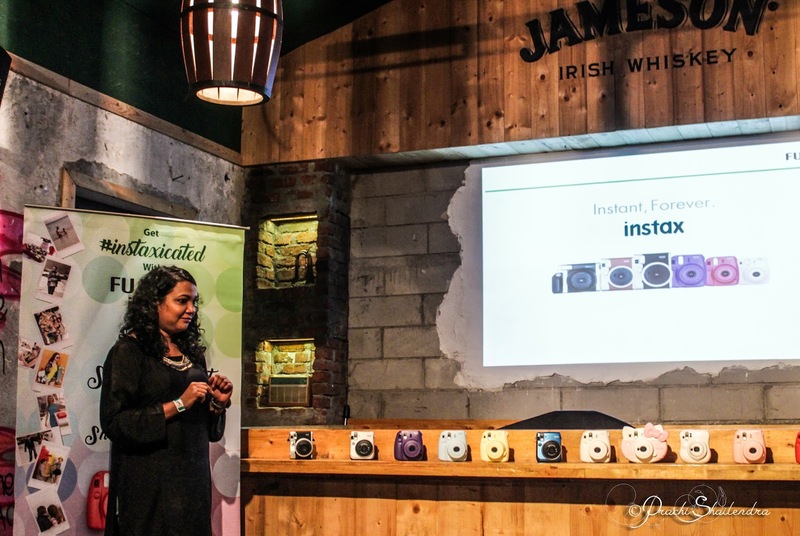 and got to know about the full Instax range. Oh, the beauty of it all! 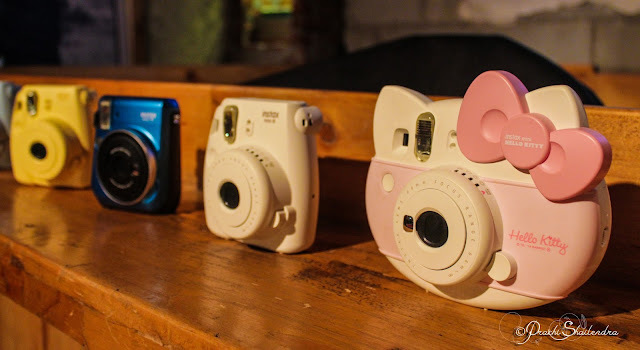 Current Instax range includes Mini 8, Mini 8 Joy Box, Instax Hello Kitty Neo Classic Mini 90, Mini 70 and Wide 300, all of them equipped with various features to take Instant Photography to the next level. The bright colors Instax flaunts have made them every fashionista's choice and Fujifilm's tie-up with exclusive film promotions, artists and musicians have made Instax a prestigious lifestyle proposition. 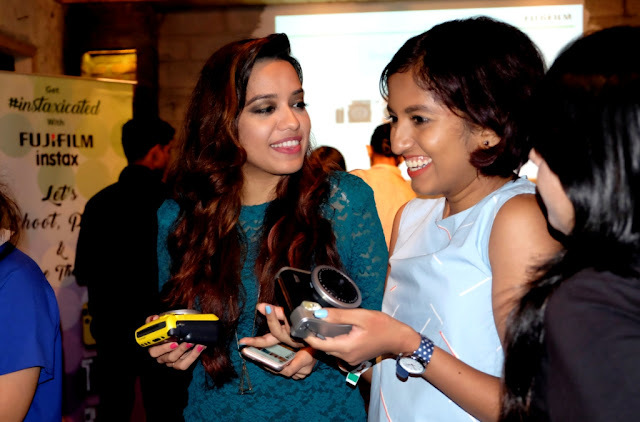 Again, instead of boring you with technical details of what,how,why, just take a glimpse at all the fun we had playing with these beautiful tech toys! Instax is Intoxicating. Why, you ask? 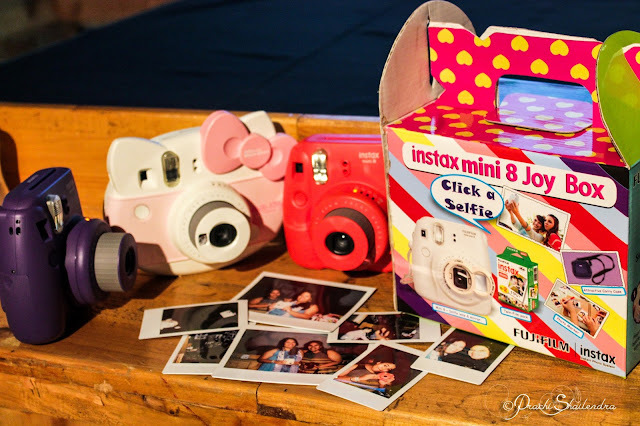 Even though Instant Photography has been around for ages, it is new & cool because it is so retro (for the latest generation)! 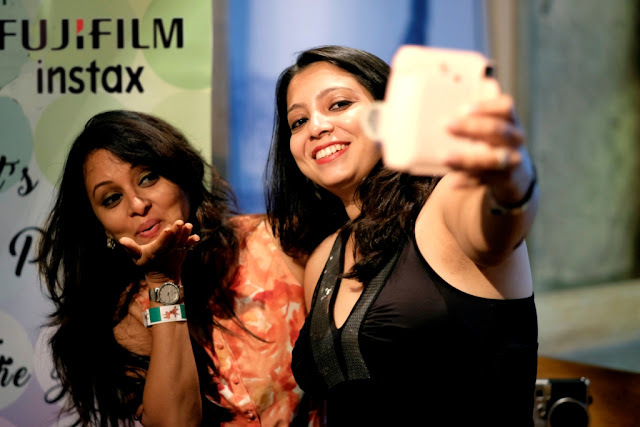 The whole experience of clicking and getting the picture printed on the spot. I believe it brings seriousness in photography back. We are no longer going to go mad clicking the button like we do on our smartphones or digital cameras. There is a need to frame the shot,think and then click. Relax. Take a deep breath. Life is good. There is time. Click! Makes any event more memorable, from a wedding to birthday. Versatile idea, done very right. 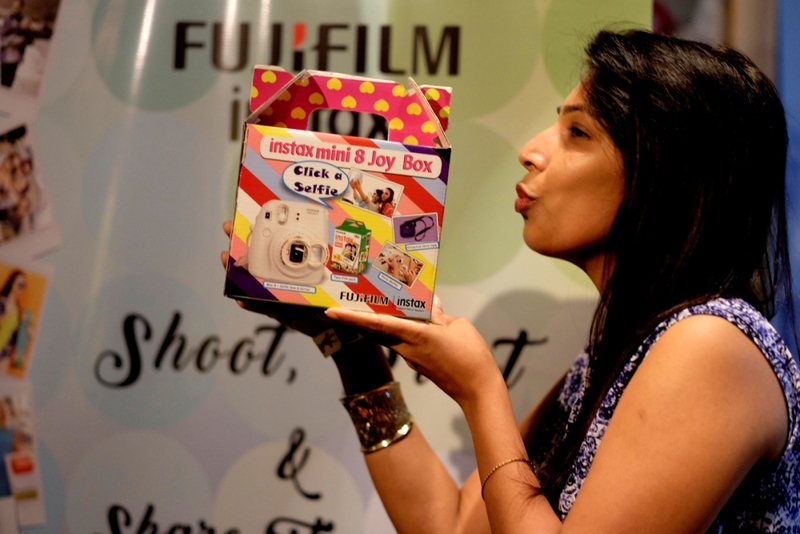 Looking cute is not the only thing it does, they come equipped with features like dedicated sensor, high key image shooting option, selfie lens and so on. So easy to operate even a 5 year old can do it. Photography is fun. 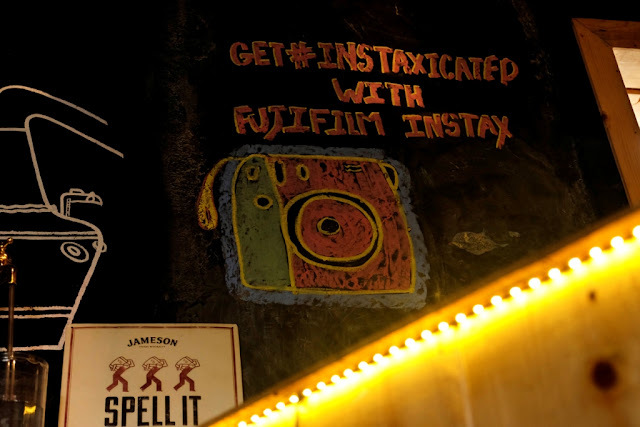 Instax reminds us of that. Just Click It. I like your post & pictures. It's very important.